For a woman with dignity, nothing speaks for her better than her jewellery. 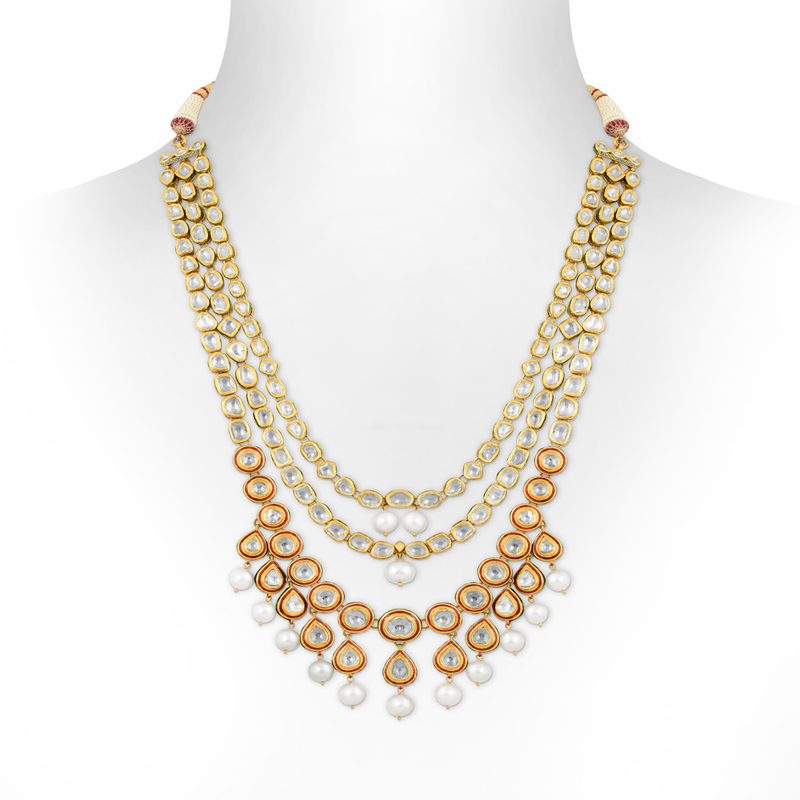 The Layered Elegance Gold Necklace, made with 22KT gold, is a polki necklace with a stone weight of 94.15, that meets the needs of a woman in every way possible. The striking design and the royal look will definitely get you all the attention you need.